Unemployment is used to justify every bigger government programsfrom national industrial policies to high military expenditures to a return to New Deal-type make work projects. Now, this book relentlessly amasses devastating evidence that the major cause of high unemployment, both cyclical and secular, is government itself. The authors boldly challenge Keynesian fiscal demand-management and show that such policies as minimum wages, labor controls, unemployment compensation, and welfare have played significant roles in generating joblessness. This book lucidly recounts the history of American unemployment, showing that the policies of both President Hoover and President Roosevelt prolonged and exacerbated unemployment during the Great Depression. Here is a powerful rebuttal to the prevailing myths about unemployment and the governments role in combating it. And it also points the way toward reforms that would have a meaningful, lasting impact on unemployment in the United States. Chapter 14: Who Bears the Burden of Unemployment? The Employment Act of 1946 made the eradication of unemployment a federal government priority. Yet during the first thirty years of the twentieth century, when government assumed absolutely no responsibility for employment, the mean unemployment rate was less than 5 percent and stable. Throughout the most recent thirty years (1960-89), in contrast, the average has been one-fourth higher and is rising. The ostensibly highly successful expansionary policies of the 1960s caused long-run damage to the economy, bringing about the stagflation of the 1970s and early 1980s. The massive unemployment of the Great Depression, rather than representing a failure of capitalism, resulted from too much government intervention. Herbert Hoovers jawboning efforts to raise real wages generated unemployment 28 percent higher than it would have been if real wages had remained constant. President Franklin D. Roosevelts subsequent New Deal prolonged rather than alleviated the Great Depression. Without the negative impact of new federal labor laws, social security, and unemployment compensation alone, the unemployment rate would have been 6.7 instead of 17.2 percent. After World War II, the government released 12 million Americans into the job market while simultaneously slashing government spending. Yet in a dramatic refutation of Keynesian economic theory, the market absorbed the workers and unemployment never rose over four percent. Statistical research demonstrates that during the 1970s unemployment insurance payments raised the aggregate unemployment rate by the better part of one full percentage point. Welfare and other forms of public aid also have significant negative impacts on employment. In fact, every one percentage point increase in the proportion of GNP devoted to public assistance creates about one percentage point increase in the unemployment rate. There are substantial differences in unemployment levels between states, with some parts of the country suffering three or four times the rate of others. The lowest unemployment areas are locations with relatively high agricultural employment, modest levels of unionization, and low rates of public assistance. In 1930, unemployment among non-whites was lower than among whites by about one percentage point. Today, of course, the opposite is true, with non-white unemployment approximately double that of white unemployment. Although many factors are at work, the empirical evidence seems consistent with the view that public intervention in labor markets is a major cause of the change. The unemployed will always be with us. Or so we seem to be reminded by the current recession, as the unemployment rate surpasses 7 percent, its highest level in more than five years. But why should this be the case? After all, government at least since the New Deal has assumed responsibility for combating unemployment. Yet the American economy appears no more free of the sharp unemployment peaks that accompany recessions and depressions than before the 1930s. Could it be that government, rather than the solution, is actually the problem? This is the sober conclusion of The Independent Institutes new book, Out of Work: Unemployment and Government in 20th Century America. The authors are Richard Vedder and Lowell Gallaway, both Professors of Economics at Ohio University who have served on the Joint Economic Committee of Congress. 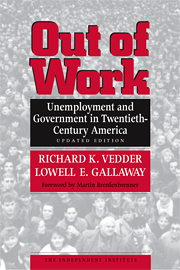 With a foreword by Martin Bronfenbrenner (late Professor of Economics, Duke University), this volume amasses relentless and devastating empirical evidence that the major cause of high unemployment during the twentieth century in the United States, both cyclical and secular, is government itself. Ever since the work of John Maynard Keynes, economists have sought the causes of unemployment outside the labor market. They have blamed consumer demand, investment spending, interest rates, the money stock, exchange rates, and assorted other variables in unrelated markets. Prior to the Great Depression, in contrast, economists usually attributed high unemployment to faulty prices within the labor market. Market prices should tend toward an equilibrium that equates the quantity demanded with the quantity supplied. If prices are held above equilibrium, quantity supplied will exceed quantity demanded. You will observe a surplus, which in the labor market is called unemployment. The pre-Keynesian neoclassical economists, as well as economists of the Austrian school, therefore blamed excessive unemployment on wage rates that, for whatever reason, were too high. Out of Work tests this theory with astonishing results. The model explains an impressive 90 percent of the variation in unemployment over the last ninety years and accurately predicts every major recession and depression. Admittedly some of the data are highly imprecise and uncertain. So Vedder and Gallaway scrupulously test their hypothesis against alternative series, and it remains amazingly robust. These results are all the more remarkable when they are compared with the utterly dismal predictive power of the Phillips Curve, the now discredited mathematical model that dominated economic analysis of the labor market for so many years. In short, unemployment can be fully accounted for by deviations of wages from their market-clearing level, and persistent deviations result from ill-conceived government policies. The neoclassical and Austrian economists were right. Markets work, even labor markets, if only government allows them to. Do not conclude, however, that Out of Work is another dry, arcane, and ultimately sterile work of mathematical economics. Although the model of the labor market is the books cornerstone, it merely informs a full-blown narrative history of unemployment in the United States during the twentieth century. 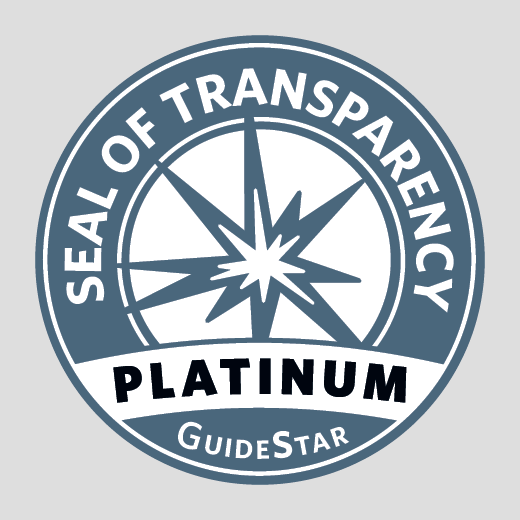 Here is where Vedder and Gallaway really show their scholarly acumen. Their attention to historical evidence and familiarity with the historical literature transcend the disciplinary boundaries of economics and measure up to the demanding standards of the most competent historian. As Out of Work lucidly and absorbingly recounts unemployments history, it confirms over and over again that the main source of labor mispricing has been government intervention. Consider the Great Depression. Unlike any economic downturn before or since, this one saw unusually large numbers of Americans out of work for nearly a decade. What Vedder and Gallaway demonstrate with rich detail and powerful analyses is that both presidents Franklin D. Roosevelt and Herbert Hoover before him actually prolonged and exacerbated unemployment because their interventionist policies kept wages artificially high. The Great Depression exhibited unemployment of unique severity and duration because of uniquely devastating government intervention. Out of Works comprehensive historical account throws light on issues other than unemployment as well. For instance, Vedder and Gallaway give us a new explanation for the Great Depression s banking crises. Monetarists, who blame the depression upon the collapse of the money stock that resulted from bank runs, have often attributed the runs to capricious and panicky depositor behavior, thereby justifying government deposit insurance. Keynesian economists, on the other hand, have argued that the bank runs did not cause the depression but rather the other way around. They see the entire economic collapse as a failure of the free market. Vedder and Gallaway agree partially with the Keynesians, admitting that the first wave of panics was indeed caused by bank insolvency. But the market is not accountable for that insolvency. Instead the culprit was Hoover s high wage policy, which undermined the profitability of many firms that had borrowed from the banks. In other words, government employment policy caused the banking crises as well as the high unemployment. Another of the many fascinating insights from Out of Work relates to historical statistics. The government has unaccountably changed its estimates for real GNP and inflation during and after World War II. The new estimates record a lower rate of inflation during the war and thus a higher growth in output. For reconversion after the war, the government s new statistics turn this story around. They now indicate high inflation and thus a huge fall in output that was not there before. Gallaway and Vedder convincingly demonstrate that the new figures, despite their drastic changes, are not based on any new evidence whatsoever. They are merely a statistical artifact, resulting entirely from changing base years. The more reliable numbers remain the old ones. The reconversion after World War II is an interesting story in and of itself. The stability of the postwar economy, more than any other event, solidified the reign of Keynesian economics. Most major economists and commentators had earlier predicted dire economic consequences from the end of the war. When none of these consequences materialized, it was proclaimed a great victory for Keynesian demand management. Only Vedder and Gallaway have had the perspicacity to ask the obvious question: what demand management? United States government spending declined precipitously in 1946 after the war ended and did not really start back upward again until the Korean conflict launched the Cold War in 1950. Reconversion consequently stands as an early and dramatic, but unrecognized, refutation of Keynesian theory. The civilian labor market adjusted quite smoothly to the massive influx of former military personnel with little or no government assistance. Out of Work covers not only the short-term cyclical ups and downs in unemployment but also the long-term secular trends. And here the impact of government is almost as dismal. The only respect in which unemployment might not be worse today than during the heyday of laissez faire is in its variability. The standard statistics show less instability since the Great Depression than before. Yet even this conclusion may be just another statistical artifact stemming from the fact that the figures for earlier periods are less reliable. We do know for certain that the average rate of unemployment has risen. Between 1900 to 1929 it averaged under 5 percent. In the last two decades it has approached 7 percent. These figures represent what economists have come to call the natural rate of unemployment. Zero unemployment is neither attainable nor desirable. To have an efficient labor market, the economy must have some amount of frictional turnover in the labor force, as people move from job to job. This gives rise to the natural rate. So why has the natural rate of unemployment risen over time? Market explanations are theoretically possible. Demographic changes in the work force, for example, can bring about a longer average time between jobs. Vedder and Gallaway, however, test these various explanations and find them insufficient. They determine that the main factor driving up the natural rate of unemployment is, again, government. Such policies as minimum wage laws, special legal privileges for labor unions, civil rights legislation, unemployment compensation, welfare, and above market wages for government employees have all played their roles. Even the government s efforts to end depressions have backfired. For Out of Work shows that average unemployment is higher during periods of government fiscal stimulation. If Vedder and Gallaway are right, and the neoclassical explanation for unemployment is so compelling, why was it ever supplanted in the first place? This leads us to still another dimension of Out of Work. In addition to a history of unemployment, the book simultaneously offers a history of economic thinking about unemployment. In part, the Keynesian advocacy of government activism triumphed because of its political benefits. It invited economists to participate in the formulation and execution of policy. Perhaps more important, however, Vedder and Gallaway show that the neoclassical view of unemployment, while correct, was never adequately developed and defended. The entire subject of unemployment occupied only an obscure footnote in the writings of most neoclassical economists. The fact that they had not devoted much time and energy to elucidating their theory made it much easier to ignore. We thus owe a real debt of gratitude to Vedder and Gallaway. They have taken a neglected avenue in economic thought and forged a powerful approach. Out of Work is so engagingly written that someone untrained in economics will find it easy, indeed enjoyable, to read. But its masterly integration of economic theory, statistical models, unemployment history, and the history of economic thought make it impossible to ignore. Out of Work will become one of those pathbreaking books that redefines the way people think about one of the most critical issues of the twentieth century. Charles P. Kindleberger, Professor Emeritus of Economics, M.I.T. Richard K. Vedder is Senior Fellow at The Independent Institute and both he and Lowell E. Gallaway are Distinguished Professors of Economics at Ohio University.